Pigtailed girl splashing in an inner tube drinking lemonade. 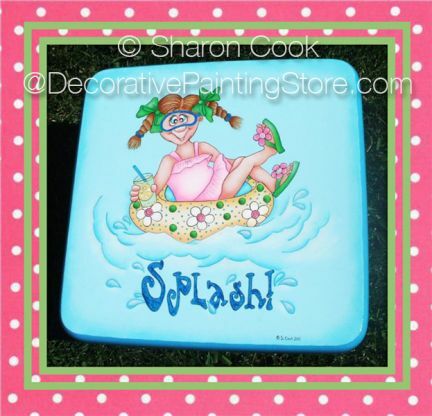 Painted on a 10-1/2" square stoolt, but you can paint this design on any surface of your choosing. It would make a really cute welcome banner or t-shirt. Design is approximatey 8-1/2"x8-1/2".